The Criminal Justice Organization (CJO) has been having a busy year of speakers and drives to assist Camden families and organizations. A holiday food drive netted over 800 food items and almost $700 in cash. A more recent drive has assisted Dooley and Hogan Houses in Camden.Click here for further details and pictures. Current officers of the CJO are: Cortney Lawrence (President), Kelly Sullivan (Vice-President), Sylvia Sherritze (Secretary), Kimberly Franqui (Treasurer) and George Wiesner (GAO representative). Prof. Jon’a Meyer is the faculty advisor. Further information about the CJO, which welcomes new members, is available at theCJO website, where a schedule of upcoming meetings and events may also be found. All Sociology and CJ majors who have not yet taken Methods and Techniques of Social Research (920:301) should register for one of the two sessions of the course offered in the fall. This course is a prerequisite for a number of upper-level courses, and knowledge of MicroCase and the basics of data analysis are increasingly expected in all upper-level courses. Note: the methods course also fulfills the second math requirement in the CCAS curriculum. Because Dr. Wood will be on research leave for the 2007-8 academic year,Sociological Theory is being taught in the fall by Prof. McCarty in the evening.Students expecting to graduate in May 2008 who have not yet taken Sociological Theory should be sure to take the course in the fall, since it will not be offered in the spring. Criminal Justice students who will be graduating in May 2008 and have not yet taken Theories of Crime and Delinquency (920:313) MUST take the course in the fall semester. 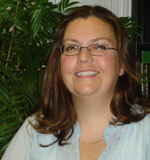 Dr. Meyer will be on leave in the spring and so the course will only be offered in the fall. Dr. Goertzel’s fall 2007 Communication class (920.341) counts both as a sociology elective and as a “writing intensive” course in the college curriculum. Newly-offered Fall 2007 course: Globalization and the Media (920:347) is a new special topics course that will explore the role of the media (television, film, print media including Japanese manga, etc.) in processes of globalization and cultural change around the world. 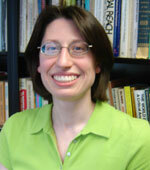 It will be taught by Rebecca Carlson, who is a Ph.D. student in anthropology at Temple University who holds both a M.A. in Visual Anthropology and a M.F.A. in Film and Media Arts. An accomplished filmmaker and web designer as well,her website provides interesting examples of her merger of anthropology and new media. The course will meet TuTh 3:00-4:20. Newly-offered Summer Session courses include Introduction to GIS Mapping and Analysis for Public Safety (second session) and Introduction to Forensics (third session). Prof. Michelle Meloy’s popular Social Justice in film special topics course, introduced last summer, will again be offered as well (first session). See the online summer catalog for a full listing for anthropology, criminal justice, and sociology. New Major Advising System In Effect: Since January, a new departmental advising system has been in effect. Both Criminal Justice and Sociology majors are now assigned an individual advisor. If you don’t know who your advisor is, check the online list of advising assignments (excel file). If you don’t find your name there, see department secretary Sherry Pisacano in the departmental office to get one assigned. Because they will be on leave, Profs. Wood’s and Caputo’s advisees will be reassigned to other faculty advisors in the fall. The ninth-annual Undergraduate Research Poster Session, co-sponsored by the Department of Psychology and the Department of Sociology, Anthropology and Criminal Justice, will be held on Thursday, April 26th, between 12:30 and 1:20 p.m in the Multipurpose Room of the Campus Center. A light lunch will be provided. All students and other interested persons are invited.Rutgers-Camden undergraduates who have carried out research in psychology, sociology, anthropology or criminal justice, either as part of a course, as an independent study, or on their own are invited to participate in this event as a presenter. Presentations should be made on free-standing poster boards and should provide a visual overview of the research project, including a statement of the research question and method employed to answer it, and summaries of data and of research findings. Useful guidance for creating a poster presentation may be found at https://www.ncsu.edu/project/posters. Students planning to make a poster presentation (which looks great on your resume) should sign up with the title of your presentation at the poster session website. Congratulations to Kristin Curtis and Linda Anderson, who have been chosen to receive the 2007 Masterton Awards in Criminal Justice and Sociology respectively. The awards, which honor the first chair of the department, George Masterton, are given each year to high GPA students “for academic achievement, significant contributions to the University and larger communities, and intellectual promise.” The awards will be formally given at the Honors Convocation on May 8th. Kristin Curtis is a double major in Criminal Justice and Sociology who has maintained a 3.9 GPA and been on the Dean’s List every semester. She has worked as a research assistant for Professors Bluebond-Langner and Meloy, and as a teaching assistant for Prof. Siegel. She will be entering a graduate program in criminology in the fall. Linda Anderson is a Sociology major with a 4.0 average who has also been on the Dean’s List every semester. She is also enrolled in the Teacher Preparation Program and will be doing her student teaching this fall at the C.B. Lamb Elementary School in Wrightstown. In her previous life, she earned an Associate’s Degree in Horticultural Technology and worked in the nursery and greenhouse industry. Students of Prof. Katrina Hazzard-Donald have been experiencing what they study. For the third year, her African American Culture class in the fall spent an exciting evening at the blues club, Warmdaddys, at its new location in on South Columbus Blvd. in Philadelphia. Tony Lynn Washington was the featured guest performer. Dr. Hazzard-Donald observed: “I could observe students come to life when they were able to directly experience what they had been reading about.” In April, her special topics class, The Red and the Black: American Indians and African Americans in the North American Enviornment will be visiting the National Museum of the American Indian in Washington DC–a first for the campus. Funding from the African American Studies program, the Dean’s and Provost’s offices, and the department, made these unique and valuable experiences possible. October 24, 2007 . Contact Robert Wood with comments or questions. This page was printed from http://sociology.camden.rutgers.edu/news/newsletter/spring-2007-newsletter/ at 10:39 PM Thursday, April 25, 2019.